There are times when you may have problems with your plumbing and may not know what to do. 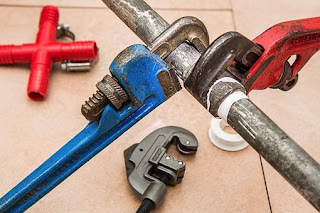 Before you call a plumber, there are some things that you can do about the plumbing problems and save the money you would have paid the plumber. Whether you own a fabricated home or one made of concrete, plumbing issues are always more or less the same. The kind of fixes that you can use for these problems is what we shall discuss in this article. You can contact Plumbing Force or other professional plumbing companies to help you with other tips if you need to learn more. Frozen pipes are a common problem during winters. If you have some exposed pipes on the walls outside of the house or in the house, chances are that you will encounter this problem. One of the best ways to sort out the problem is to apply heat to have the pipes defrosted in the sections where this problem occurs. You can wrap the frozen areas with a towel or a rag and apply some heat from a hair dryer or a heater. All the water taps should be left open to allow the ice water to flow out. This is yet another common plumbing problem that people face. You could have a partial clog or a complete clog. This should not worry you so much as it can easily be sorted out. You can use a bathroom plunger to remove the debris that is clogging the drains when high water pressure is created in the process. You can also use a mixture of vinegar and soda and pour it into the drains. Allow it to sit for around ten minutes and use the plunger thereafter. This is a common problem that could also be a result of a buildup of debris over time. To get the water draining normally again, you need to remove any buildup of debris from the pop-up that stops the sink. You can use zip-it to clean the debris and other dirt out of the sink drain pipe. It is also good if you can remove and clean out the pop-up. These tips will have the sink draining normally again. A running toilet is one of the most common plumbing problems that is a big nuisance to families. However, it is possible for you to fix this problem if you can take your time and find out what the cause of the running water is. Check all the parts of the toilet and determine which part is defective. Replace the parts that are causing the toilet to run or repair these parts. This way, you can easily stop the water from running. Low water pressure is a problem that could greet you when you get into the shower. This is a frustrating problem that could be caused by simple issues like a shower head that is blocked. The best way to fix this minor problem would be to clean out the tap head or shower head. Leaking pipes could also be the cause of the low water pressure. This would definitely require you to check all the pipes that bring water into the house and fix the leaks.